You will have to change the wheels too since the standard wheels won't fit over the Brembo calipers. Also it could possibly require some type of software change since the brakes are integrated into the regen system. Just changing the brakes could disrupt the regen to brake handoff. Yep - all thoughts I had. Thanks Julien. funny you are looking at ways to make the brakes work better and i'm thinking how great the regen is so I don't have to use the brakes at all. I figure the original brake pads will last longer than the car will. Are you sure? The CTS with the 13.6" performance package got 19" wheels. I read on this forum or the GM-Volt forum that someone with the Performance Package didn't like the wheels and wanted the standard wheels but there was not enough clearance to mount on the front. wallywalt and wallywalt like this. I'm interested in finding out if anyone has done this, and if it's possible. DialM4Speed and DialM4Speed like this. Are those brake caliper covers? If so, where did you get them. Some red ones would look good against my graphite paint. Yes there are from MGP. I have painted on past cars and after a few months to a year the results are poor with brake dust and chipping. 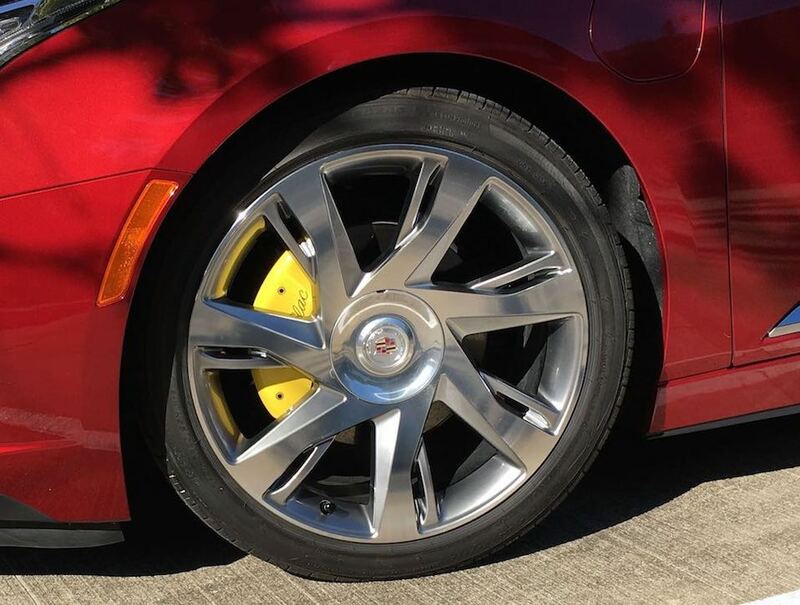 Also the calipers on our ELR are a little small (since we don't need or use brakes much). Off the car (and in pics) the covers look a little cheesy to me but they receive very high ratings and people seem to love them. So decided to give a try. They are easy to install (or remove). Now that I have them on they look very good, especially from any distance. If you get up close and really look they don't look as good. But there is no way to have true large clappers look without actually having large clippers. Thanks Julien, I had thought about them but wasn't sure they would be any good. I'm assuming you need to take the wheel off to put them on? Yes, here is a 2 minute YouTube on procedure. there are MANY more detailed videos too. Cool. I'll put it on my Christmas list.